Travel to India starts increasing in October after the main monsoon season has ended. However, without the monsoon rain to cool things down, many places in India can be very hot and dry in October -- often hotter than in the summer months of April and May. The dramatic change in weather post-monsoon results in a range of health concerns that visitors should be aware of. Here are the top five post monsoon illnesses in India. It's important to learn how to tell the difference between malaria, dengue, and viral fever and the distinguishing symptoms of each. Also, follow these monsoon health tips to avoid falling sick. Dengue Fever is a viral infection that's carried by mosquitoes and causes fever, body aches, joint pain, and rash. 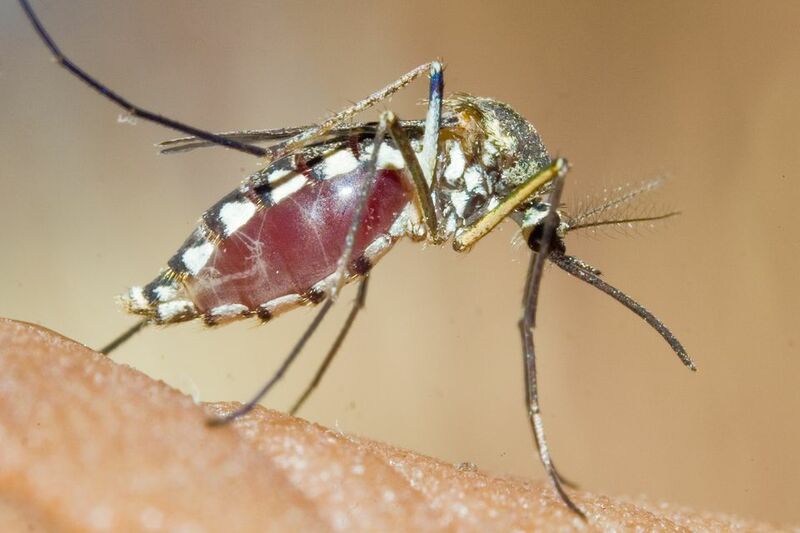 It's spread by what's known as the tiger mosquito (Aedes Aegypti), which has black and yellow stripes and typically bites in the early morning or at dawn. These mosquitoes are also known to spread the Chikungunya fever virus. Dengue is most common in India during the few months after the monsoon but also occurs during the monsoon season. Preventative measures: Unfortunately, there aren't any drugs available to prevent the virus. As it's transmitted via mosquitoes, wear a strong insect repellent containing DEET to prevent getting bitten. Avoid wearing perfume and aftershave, and dress in light colored loose clothing. Although dengue fever usually resolves on its own, if you do get it, you may need to be hospitalized depending on how serious it is. It's important that you're monitored by a doctor until you've recovered as dengue fever causes the body's platelet count to drop. A platelet count of below 20,000 has an increased risk of bleeding complications. Malaria is another mosquito-transmitted disease that's common during and after the monsoon, when mosquitoes have had a chance to breed in stagnant water. It's a protozoan infection that's transmitted via the bite of the female Anopheline mosquito, which is mostly active at night. The more severe falciparum strain of malaria is most prevalent after the monsoon. Preventative measures: Take an antimalarial drug such as mefloquine, atovaquone/Proguanil, or doxycycline. This isn't necessary in all areas of India though, as some places are more prone to malaria outbreaks than others. For example, the desert state of Rajasthan is considered to be low-risk in regards to malaria. A lot of travelers don't bother with the drugs, as they can cause side effects, but instead take measures to prevent against mosquito bites. However, it's a good idea to check current news reports for the latest information about outbreaks and decide what to do accordingly. Viral fever is quite common in India during changes in weather. It's characterized by fatigue, chills, body aches, and fever. The illness is usually transmitted through the air by droplets from infected people, or by touching infected secretions. It lasts from three to seven days, with the fever at its most severe in the first three days. Respiratory symptoms tend to develop later on and can include a cough and in severe cases pneumonia. Preventative measures: Unfortunately, viral fever is easily spread and difficult to prevent. Medications are available to treat the symptoms and control the side effects where necessary, and it's a good idea to see a doctor if you get a viral fever. Dehydration and heat exhaustion are big issues during the hot weather in India, particularly for children. Symptoms include the absence of urination, lethargy, fatigue, and headaches. Skin rashes, caused by excessive perspiration, are also a concern. Preventative measures: Drink lots of water (and the popular Indian lemon water -- nimbu pani) and take Oral Rehydration Salts. Alternatively, add half a teaspoon of salt and 3 teaspoons of sugar into 1 liter of water. Avoid drinking cold soft drinks containing preservatives. Also be aware that air conditioners can encourage dehydration by drying out your system. Bathe at least twice a day to remove perspiration from the skin and keep the body cool. Apply talcum powder to rash areas. Many trees start pollinating during the September to October period in India, triggering seasonal allergies among people. Common symptoms include inflammation in the lining of the nose and eyes. Allergic bronchitis, which affects the lung area and may induce breathing problems, can also be a problem. Preventative measures: Allergy symptoms can be treated to a certain extent by taking anti-allergy and antihistamine drugs. Those who suffer from asthma should always carry their inhaler.